Size of this preview: 605 × 600 pixels. Other resolution: 1,410 × 1,398 pixels. 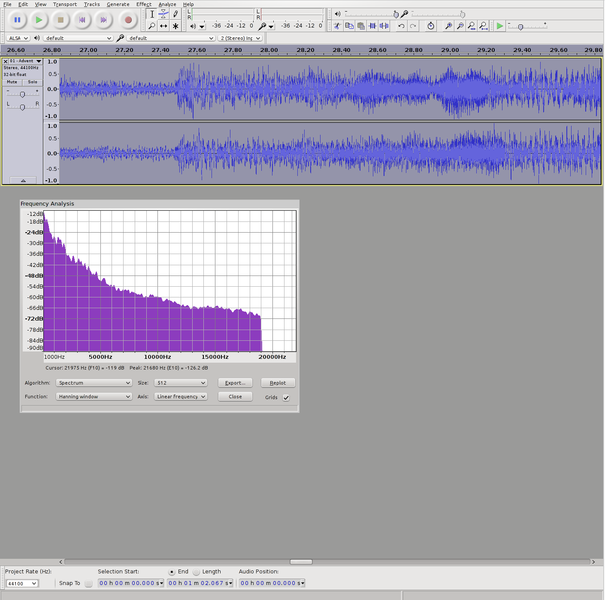 current 12:22, 22 September 2013 1,410 × 1,398 (96 KB) Phiarc Newer Screenshot with recent Audacity version showing a single track and spectrum analysis.